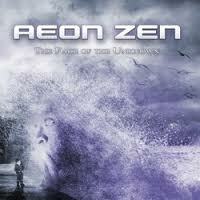 Review: "Aeon Zen: The Face Of The Unknown" - Sea of Tranquility - The Web Destination for Progressive Music! I first became aware of Rich Hinks and his project Aeon Zen when he sent me his fantastic debut disc A Mind's Portrait. This disc was one of the most dynamic records that I had heard and knew it would be tough to top it since it was the winner of SoT's album of the year poll for 2009. Sophomore discs are usually the one that tells the tale of a band and if they have what it takes to make it in this business. Either they show growth or they prove to have shot their wad in the initial release. Well, rest assured Aeon Zen is a force to be reckoned with in the world of progressive metal as the new album "The Face Of The Unknown" picks up right where he left off on the last album and continues to produce music of such excellence which few are able to achieve. He has the potential with this disc to reign over the charts again for the new year 2010. The scary part about Rich is that with this album he is now old enough to have an alcoholic drink to celebrate its release. At the age of 21 Hinks writes and plays like a seasoned veteran in this genre. He has a masterful sense of melody and the music he produces is rich, lush, epic prog metal that will appeal to fans of old school like Genesis and Yes but will also be a welcome addition to followers of newer bands like Spock's Beard, Avantasia and Ayreon. This time around Rich still plays most of the instruments, in fact all of them other than a guest appearance from Matt Shepherd who adds some guitar parts to the song "Visions". He does enlist some of the highest quality vocalist in prog to add their own touch to this masterpiece. With the likes of Michael Eriksen (Circus Maximus), Andi Kravljaca (Silent Call), Nick D'Virgillo (Spock's Beard), Jem Godfrey (Frost) and Jonny Tatum (Eumeria) along with Rich's own vocals this is a treat for any fan of this kind of music. With this kind of line-up behind the microphone all I can say is turn it up and enjoy as it doesn't get much better than this. Another aspect of this disc is the diversity of subtle music styles within each song. Whether it be the ebb and flow of the multi- layered 10 minute opener "Salvation" or the crescendo that starts as an acoustic calmness which becomes the epic Nick D'Virgillo fueled "Crystal Skies", Rich makes each song a journey that takes you to many a varied land and gives you something to remember each stop along the way. One of those stops is the title track "The Face of the Unknown". This is 7 minutes of pure bliss as vocalist Andi Kravljaca gives a dramatic performance to this piece that caught my attention on the first listen and has not let go yet. I can see why it is the title track as the musical ability from the piano opening to the terrific guitar work is something to behold. In a similar fashion Rich himself takes over the vocals for the song "You're Not Alone" and the results are just as stunning. This one has a very English feel to it and a bit toward the classic style that brings back a bit of The Beatles feel to the music. The way that Rich can tap into such a variety of emotional music is simply amazing. Even when it is just him behind a piano with some atmospheric orchestration as in the song "Start Over" he is able to make you feel as well as hear the music. The last thing that I noticed about this album is that is a very uplifting record. It is one of the few times when the spirits get raised and there is very little downcast about it. I guess you could say it is a happy album. If I could produce something this dynamic I suppose I would be happy too! By the time this hour long disc has passed by you will feel refreshed instead of overwhelmed. Let me tell you this though, the hour passes way too quickly. By the time you reach the searing closer "Redemption's Shadow" your finger will be poised on the repeat button. This is the type of album that you wish would just go on and on. Bottom line is this is a no brainer. It could very well be one of the top releases of the year. And to think, at his age we have many, many years of music from this guy I hope. Now comes the real challenge for Rich. How is he going to top this one?